Welcome to the Suzuki Hayabusa owners page in Tripod. You might know the bike as the GSX1300R, depending on where you live. NEW FEATURE; ALL-NEW ZX-12R pages now available, see links at the bottom of this page!!!!! The purpose of this page is for those running one of these ultimate speed machines to share information and help eachother get the most from what in 1999/2000, was the fastest production bike in the world. Everyone is welcome to browse. Share your information with all Hayabusa owners by signing the guest book you'll find towards the bottom of the page. It has become a great forum for riders from around the world. I'm a journalist working for Motor Cycle News in the UK. We have a website (linked from the bottom of this page): which is motorcyclenews.com. 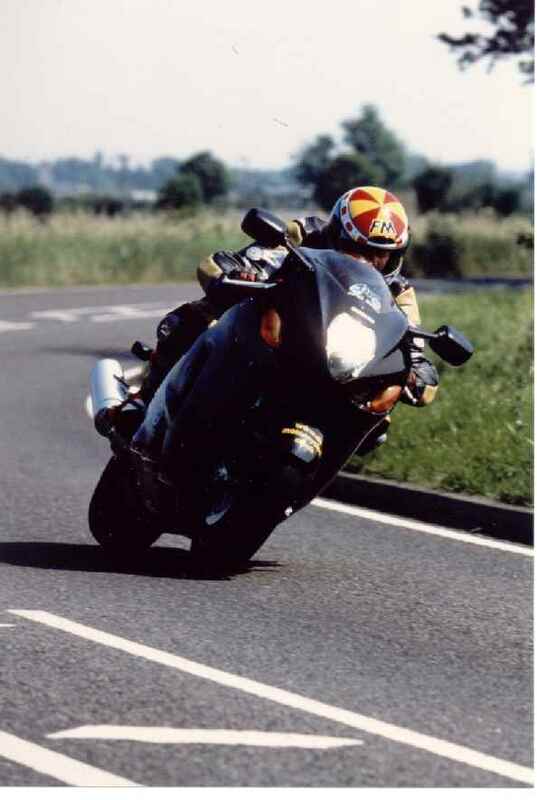 In 1999 I ran a Suzuki Hayabusa and asked for other riders' help with my long term testing of it. As of March 2000 I am running a Kawasaki ZX-12R (sorry Hayabusa owners, but I suspect a fair few of you will be following suit...) A website of a similar nature will be set up for that, too. It will be linked from motorcyclenews.com, so follow the link for that at the bottom of this page if you're interested in that! In 1999, And the early part of 2000, the Hayabusa was the fastest, most powerful production bike in the world. It's 1300cc in-line four-cylinder four-stroke engine produces a claimed 175bhp at the crank. This translates to around 163bhp at the rear wheel. Just to put that into perspective, the R1 I ran in 1998 had a claimed 150bhp at the crank but actually made around 133bhp at the rear wheel. The bike has been designed for optimum top speed and in theory, at the redline in top gear, tyre maker Bridgestone reckons it should be capable of 199.6mph. Bridgestone need to know this because they build the tyres for it. They reached their figure using calculations based on the stock gearing and the size of the tyres. What isn't clear is whether or not they have taken into account whether the tyre expands at speed. Suzuki, for example claims it could, in theory, reach 208mph. My money is with Bridgestone because the firm is more likely to have accurately taken account of high-speed tyre expansion. FACT: When Motor Cycle News tested the bike it reached 193mph at Bruntingthorpe in England and 194mph at the Nardo test bowl in Italy. A Spanish mag has clocked it at 195mph. In none of these cases did the bike hit its redline in top gear � but not many bikes ever can. Kevin Carmichael, a Scottish stunt rider, reckons he did have it at the redline in top when he went through MCN's timing lights at an incredible 208mph. His figure is so much higher than any previous runs that it raises doubts about the accuracy of the timing lights on that day. However, it should be noted that the Guinness Book of Records staff attending to measure a world speed wheelie attempt, were happy that the lights were accurate and accepted them to measure Patrick Furstenhoff (of Sweden's) 191mph wheelie on a turbocharged Honda Super Blackbird. Furstenhoff has since beaten that record with 201mph in Sweden, (at the start of May 1999) on the same bike. In an issue of Bike magazine the Hayabusa hits 200.2mph. Me, I think they rather had the wind behind them since they had a Kawasaki ZZ-R1100 hitting 186mph (about 8mph quicker than it's usually clocked at) and an R1 at 178mph (about 4mph faster than it's usually clocked at) on the same day.